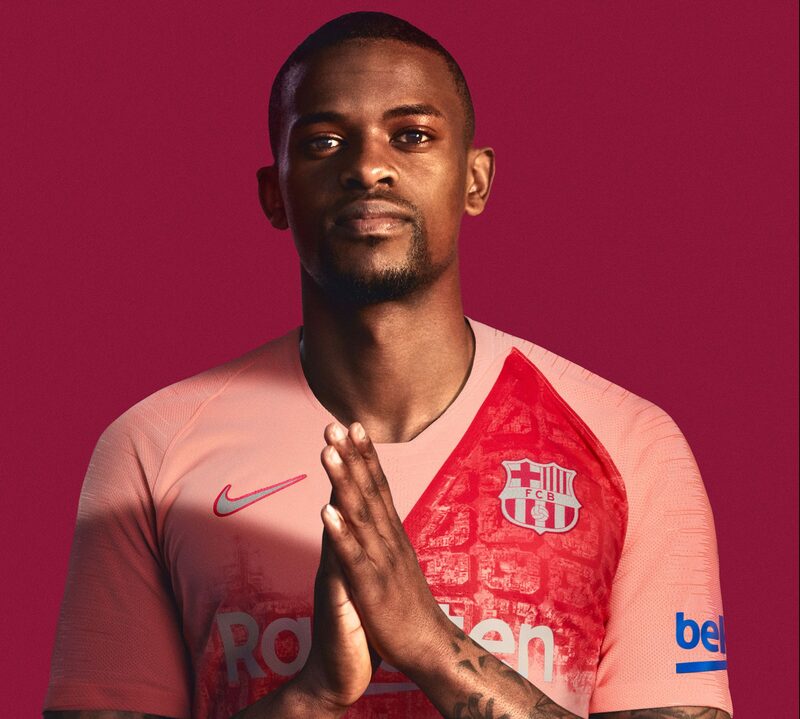 Nike have just launched Barcelona’s “pale pink” third kit for the 2018/19 season, and it celebrates the club’s Avinguda Diagonal district. The district cuts through Barcelona’s city blocks, and the new shirt’s sash represents this by slicing across the front of the kit, from the left shoulder to right hem. The graphic pattern next to the sash is based on an aerial view of Barcelona’s famous Eixample District and its blocks. Nike designer Peter Hoppins said the graphic was incorporated to illustrate how the “football club is part of the fabric of Barcelona” itself. The bold two-tone shirt has a dark red sash and graphic, which runs alongside a paler pink body. 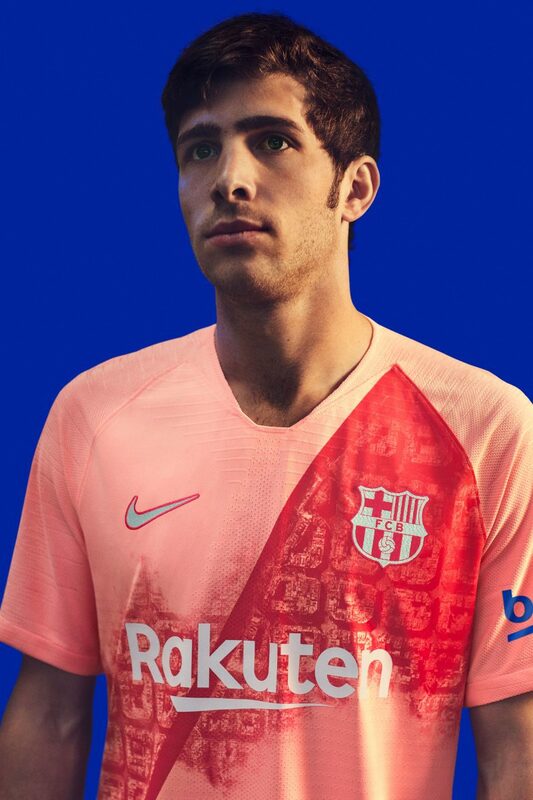 It follows on from Barca’s home and away jerseys that simultaneously reflect Barca’s rich history while giving the club a distinctly modern look. The 2018-2019 FC Barcelona third kit will be available now on nike.com and at official stores and select retailers.